12/22/14 Golden Oldie: This is Meria speaking on her life’s work – the Medicine Wheel and how it applies to every facet of what she does. The Circle of life, talking about creeping fascism in 2001! 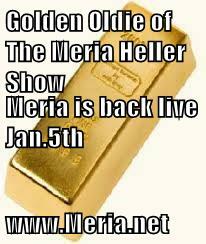 This show was done before Meria’s book on the the Universal Medicine Wheel was published (see her books here on site). Originally aired on 8/12/01. Enjoy. Information you don’t get anywhere else – commercial free. Subscribe to access entire site 24/7. Commercial Free because of your subscription , all downloadable.